On an occasional basis, I intend to share little snippets of interesting information with the visitors to the website. Agatha Christie's second marriage, to archaeologist Max Mallowan, took place in St Columba’s Church, Edinburgh. Agatha Christie's uncle Edward trained as a medical student, but had to give it up as he couldn’t stand the sight of blood. 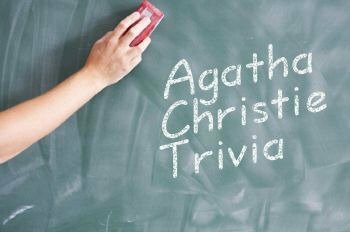 Agatha Christie broke her engagement to a young man called Reggie Lucy in order to marry Archie Christie. Agatha Christie once chloroformed a hedgehog that had got entangled in a tennis net in order to set it free. Agatha Christie considered ‘The Mystery of the Blue Train’ ‘commonplace, full of clichés, with an uninteresting plot’. On her first journey on the Orient Express, Agatha got badly bitten by bedbugs.